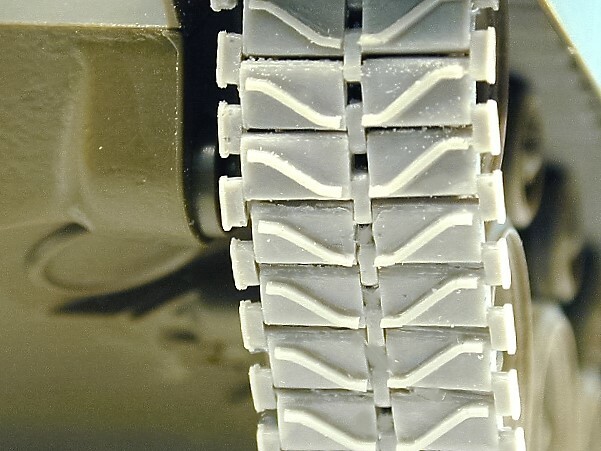 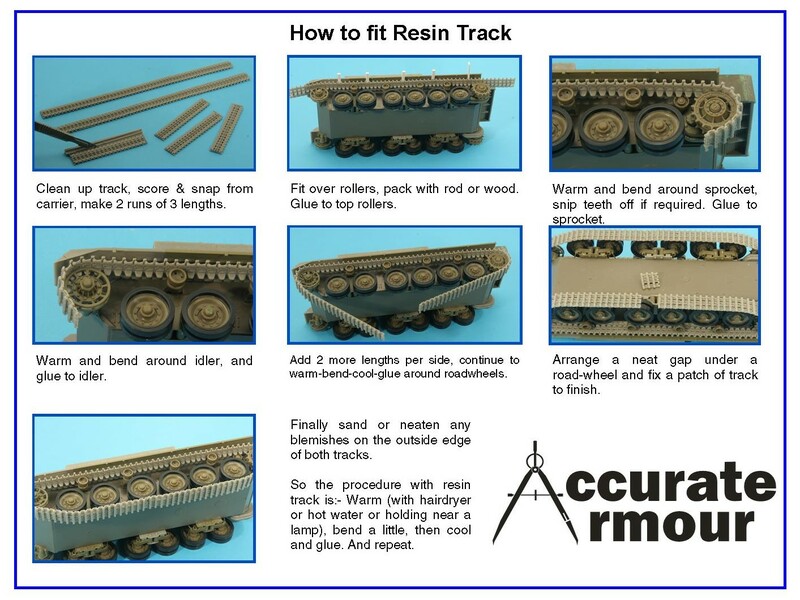 Replacement 1/35th scale semi-flexible resin track for replacing the ‘rubber band’ or poorly detailed injection moulded track supplied with many model kits. 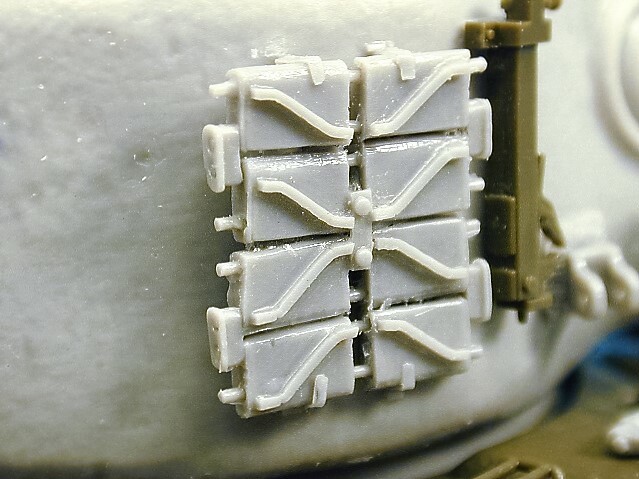 This set includes resin lengths, links, sprockets and spare turret mounted link plates. 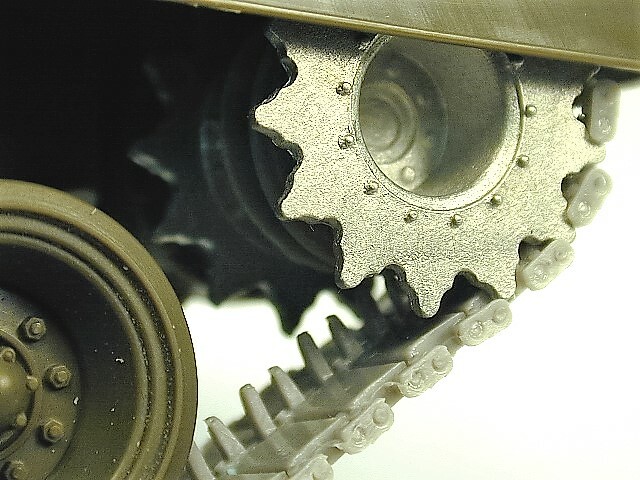 Suitable for all Post War Pershing series tanks.